Dan Glasure’s Lego Batcave is incredibly intricate, and uses around 18,000 Lego pieces. If you prefer more realistic Lego sculptures, these wildlife pieces will impress you. Marble Mountain is a giant marble machine based on Ben Tardif’s life – neither of which is finished yet. 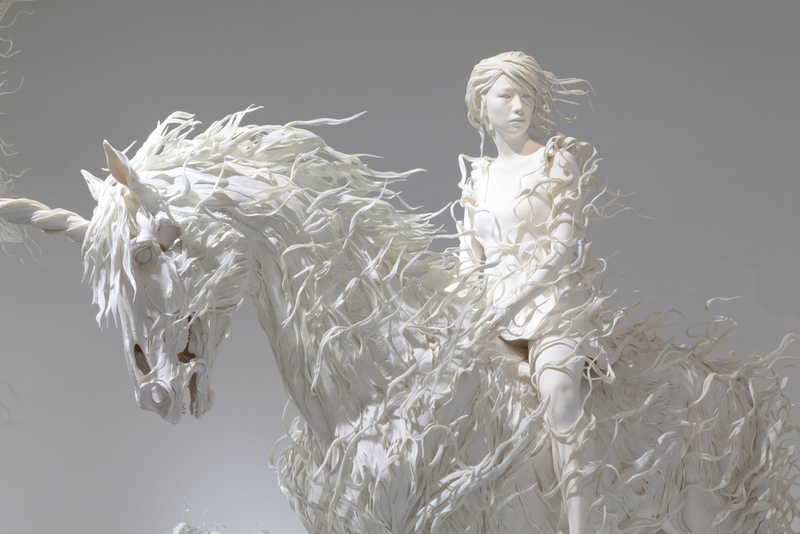 Paper appears to be a popular medium for sculptures such as these cinematic-themed works of art and these Tinysaurs. For wildly colorful paper sculptures, take a look at these. Roller coaster fans will enjoy imagining the hair-raising rides they could take on these fantastical paper roller coasters. Fragile glass hosts these incredible science sculptures by Kiva Ford. And, finally, if you enjoy sculptures that continuously reinvent themselves, then you will be mesmerized by the work of Anthony Howe.